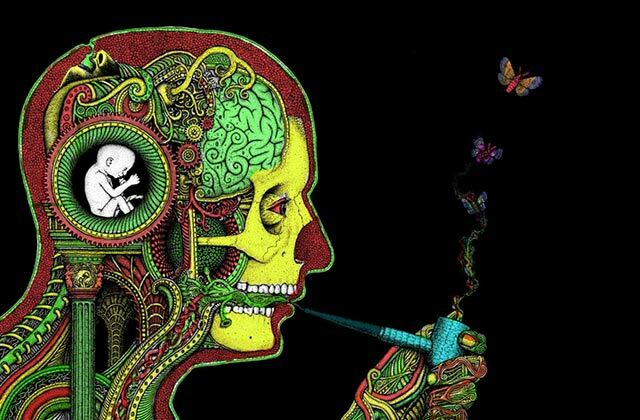 One of the perks of being a budtender is that we get a direct line to cannabis knowledge. 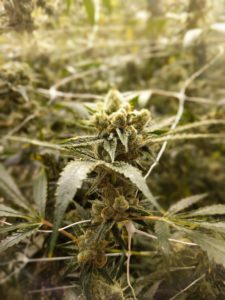 A few weeks ago, we got the opportunity to visit two sources of such knowledge: the farmers, extractors and staff at Khush Kush’s farm and Amber Brick’s extraction facility. 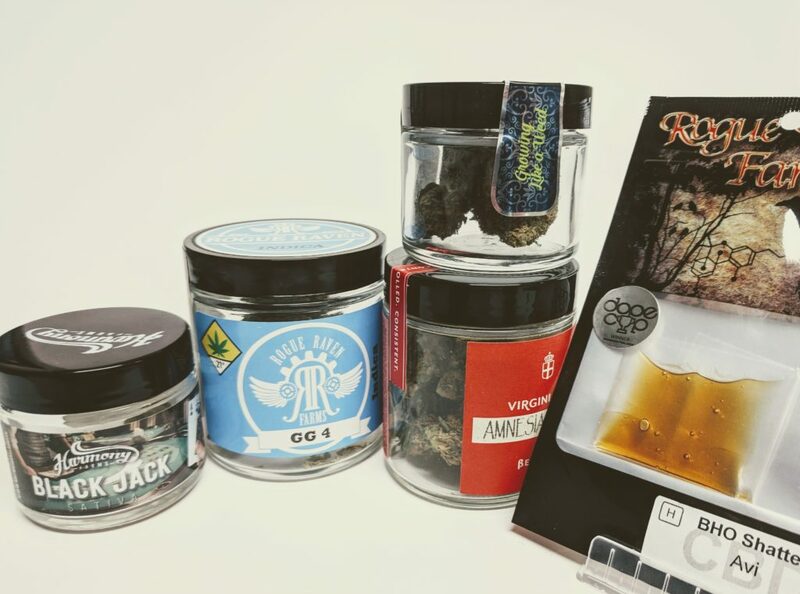 These companies are some of our favorite partners, because their values are right in line with ours: a high standard of quality and a commitment to meet that standard; love and respect for all aspects of the cannabis plant, including terpenes; and positive, cooperative business practices. Not to mention they’re both located right here in Bellingham! Amber Brick was our first stop. One step into their clean, organized facility and we were met with a wave of fresh, juicy terpene aromas. Extraction facilities tend to be somewhat small – most of the work they do centers around a handful of complex, scientific machines that can fit into one or two rooms – but Amber Brick’s master extractors Chris Ramsay and Ricki Schneider make good use of their space, processing for more than 25 farms and brands including Treedom, Cascadia Gardens, Khush Kush, and “Oh!” McDonald. Some of the staff come from medical backgrounds, which shows in their obsessive cataloging of data, and perfected, consistent processes. All product is held up to standard: the only variable for each batch is the plant matter they start with. 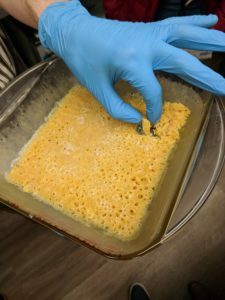 AB’s final products include shatter, sugar wax, and crumble from dry material; they also process live resin and beautiful terpy crystals of concentrate. All of these standards of excellence are on full display at Amber Brick’s facility. Heather Wertz took us on our tour and imparted some of her fabulous experience and knowledge. We briefly got to meet CEO Dave Pinch as well. Everyone there was friendly and enthusiastic, with a clear passion for the plant and the industry. As this was my first tour of an extraction facility, I was ecstatic to see some fun sights for the first time: huge bags of raw cannabis plant material. Several ovens containing trays and pans loaded with syrupy, oily concentrates, drying and releasing solvents. 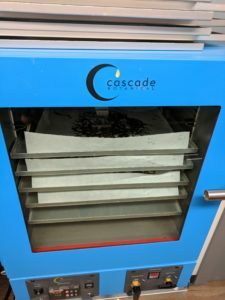 Massive trays of finished material, holding upwards of 180 grams of potent shatter. I have a better understanding of Amber Brick’s quality and processes now, and can speak to the produc t, whether processed for a private label or under their own name. One such private label is Khush Kush. 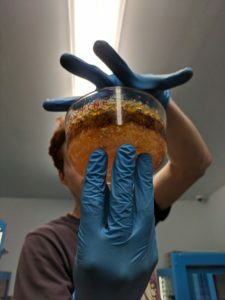 The Amber Brick people had let slip information about a new product they were working on for Khush Kush, which have now hit the market: live resin cartridges. This product features the best of both worlds: the highest quality flower processed into potent, flavorful live resin, to be vaped in a high-quality cartridge. One strain featured in these cartridges is their exclusive new Blueberry Scone, whose plants we got the chance to see growing and flourishing. 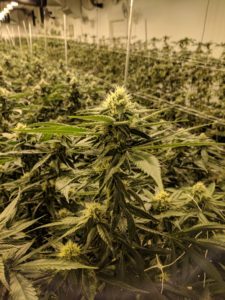 Make no mistake: the people at Khush Kush, including master grower Cody Erickson, give all their love and attention to their plants. The farm was bursting with healthy, happy green bushes topped with lovely, fragrant buds in strains like Brandywine (Dope Cup 2017 Winner for Best Indica), Vietnamese Bubba, Golden Ticket, and White Grape Stomper. 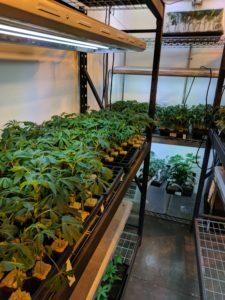 And we got an early look at a new project for them: they are working on transitioning from Hydro in Coco with nutrients, to an Organic Living Soil from KIS Organics in the Skagit Valley. Plants grown here will be fed with only water, no added nutrients. Any soil amendments will be made with compost teas. They have new cover crops, as well as introducing helpful insects and worms. These moves are proof that Khush Kush’s highest priority is quality and natural goodness. Even before visiting these companies’ facilities, I had respect for their product. But now that I’ve seen, not just the specific practices and processes they use, but also their spirit, heart and passion, I feel even better about Smoking Crow partnering with them. Khush Kush makes some of my favorite natural flower, and Amber Brick are extractors extraordinaire. I highly recommend all of their product to any cannabis enthusiast. Thank you for the kind words.Every day I’m humbled by our employees and the awesome people in this industry. I can’t wait for our next vendor day because I love hanging out in your shop! I Absolutely Adore this post! What an eloquent write up of some really amazing people and the business that they love with all their hearts can give. We only ever want to lift each other up and let the public know how and where their favorite products are made- With Love & in our happy little subdued Bellingham. Thank you for coming to our facility and for being a brilliant and shining fixture of the cannabis industry.